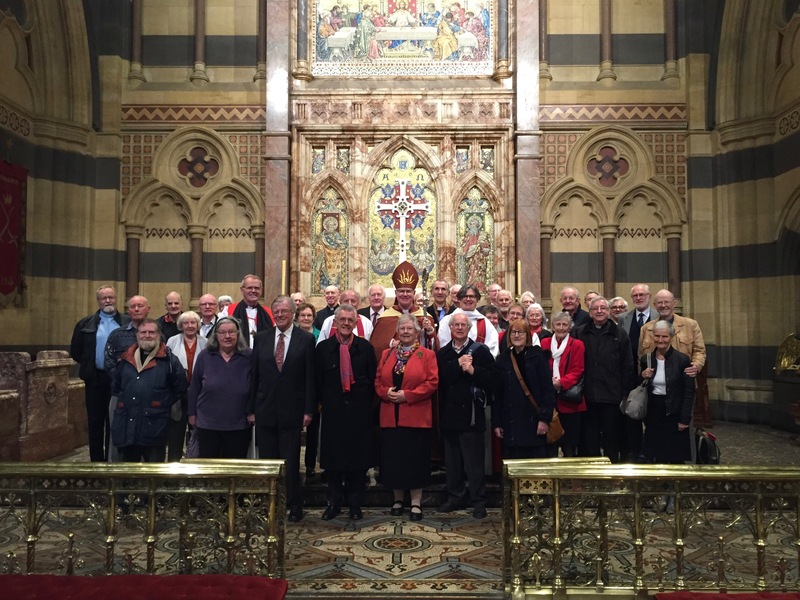 On the Feast of St Philip and St James, retired clergy of the Diocese and their spouses met at St Paul’s with Archbishop Dr Philip Freier and Bishops Paul White and Genieve Blackwell to share in a festive Eucharist, celebrating many years of faithful service to parishes and agencies in this Diocese and beyond. The preacher, the Revd Peter Prentice, celebrated his sixty-fifth anniversary of ordination. In welcoming the clergy and their spouses, the Dean of Melbourne, Dr Andreas Loewe, said: ‘The Apostles Philip and James were two multi-lingual disciples, people who were approachable, listened and were able to point others to Jesus. Like them, we too, are called to be people who show others the way to Jesus, and we give thanks for that important calling’. Dean Andreas thanked the clergy for their commitment to follow this vocation: ‘We are delighted to celebrate with you your long service to our diocese and the wider church, a service that extends long into retirement. Thank you’.